Reflex founded by a group of engineers with over 20 years of experience in the automotive industry. The company holds the patent for the Reflex system. 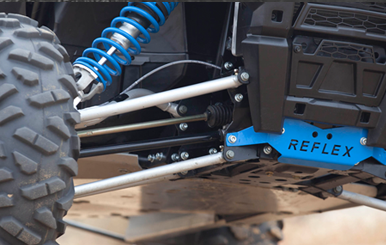 Our suspension systems designed to increase the UTV width by up to +8" without affecting the stock suspension geometry. That fact prevent extra load on the suspension parts. The Reflex structure reinforces the chassis by over 150%, it actually installed as a shield to the chassis. The system relocates the a-arms pivot points by +4" per side, a new Reflex shock tower relocate the shock mount at the same +4" per side. 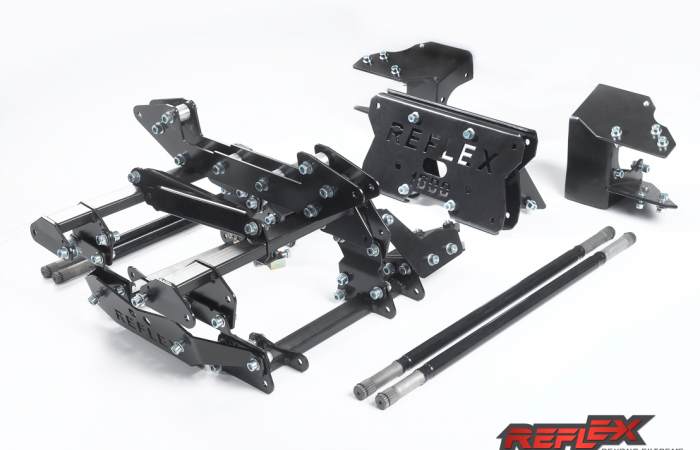 At the UTV rear side the Reflex system increase the mounting point between the trailing arm and wheels by +4" per side. Our systems supplied with free heavy duty +4" chromoly axles designed by Reflex engineers with an excellent strength-to-weight ratio. The install process is very easy and do not require welding. 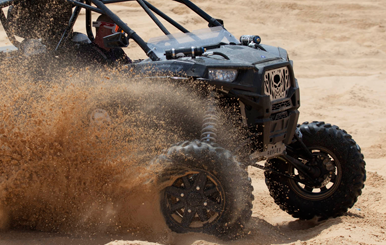 Our systems reduces body roll by up to 80%, keeps the UTV 4 wheels on the ground. Bump steer with Reflex is equivalent to stock, drifting is more precise and rock crawling is much more fun. 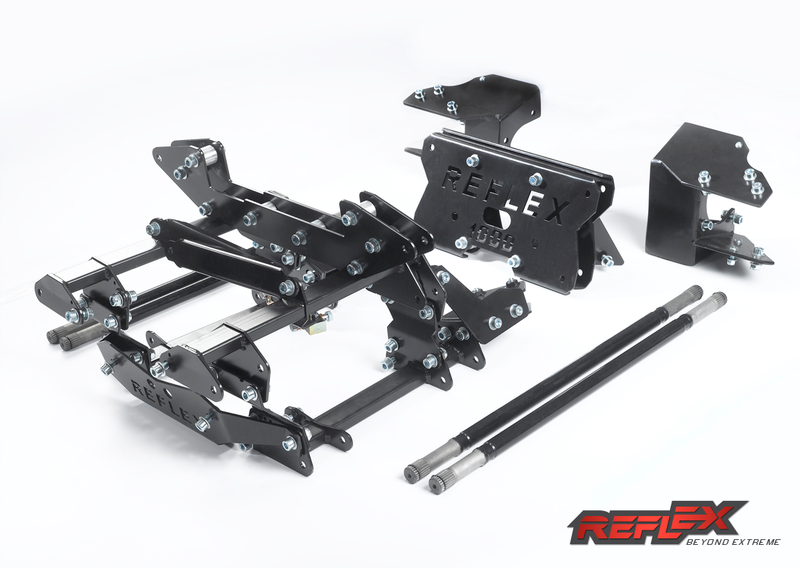 We are proud that Polaris factory racing have chosen to use the Reflex system, check out Polaris review in our home page. With Reflex UTV owners can enjoy a much better safety, uncompromising and reliable performance with zero maintenance. Our systems have been tested and running for over 5 years in extreme conditions with over 500 installs with zero support calls, we simply designed the systems to last forever. For more information you are invited to review the white paper with a comprehensive data regarding the Reflex system.